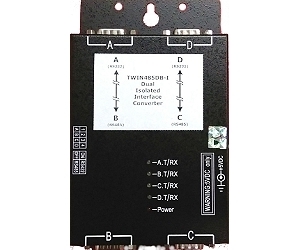 DUAL RS232 to Ground Isolated RS422/485 Converter. ★ Fully Ground Isolated Function in RS232 connector to core logic. ★ Fully Ground Isolated Function in RS485 connector to core logic.